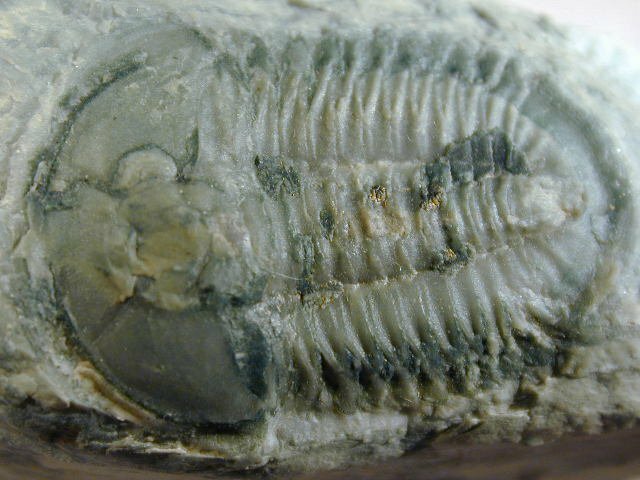 This trilobite came from a very hard hard-to-access site that is possibly part of the McKay Group, near Radium, B.C. Canada, about 100 miles from the well-known, Lower Cambrian, Eager formation. 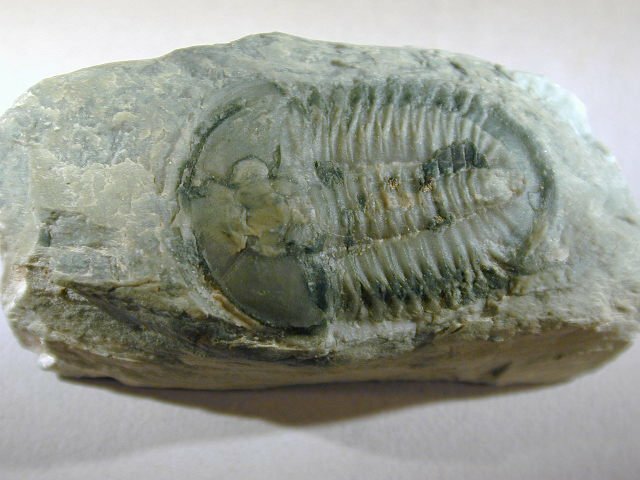 It has close resemblance to Housia canadensis, described by Walcott in 1916. The distinguishing feature for identification is the unusual and very conspicuous macropleuron near the pygidium. 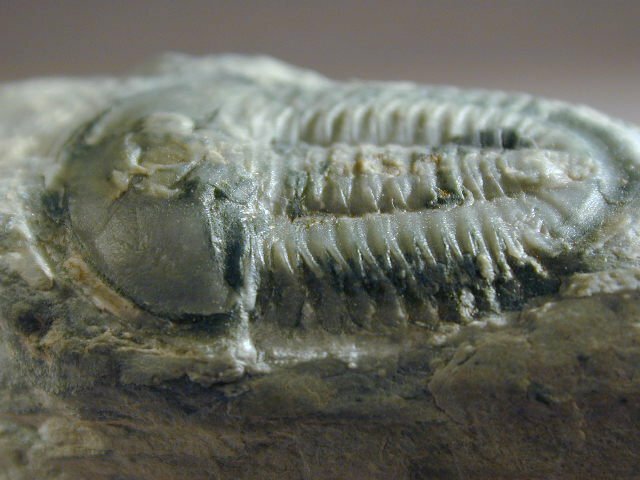 Note the unusual color and type of the preservation, where the trilobite varies in color from a bluish-gray to off-white, with a distinct translucency of the calcite. 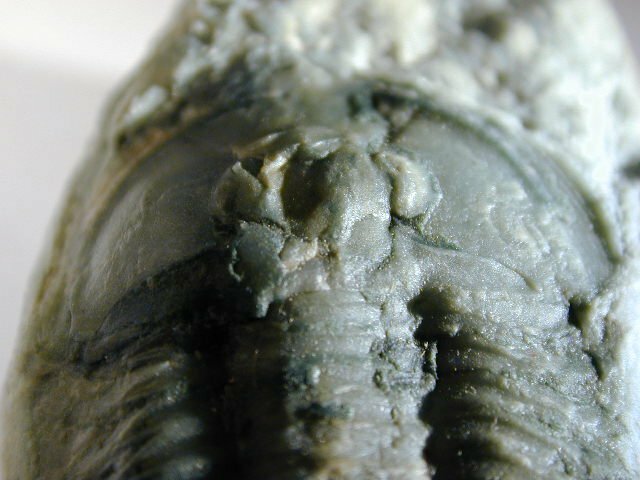 All the specimens from this locality with extremely hard matrix have a haggard appearance, and the majority have been wrenched and torqued by geological strains in the strata. 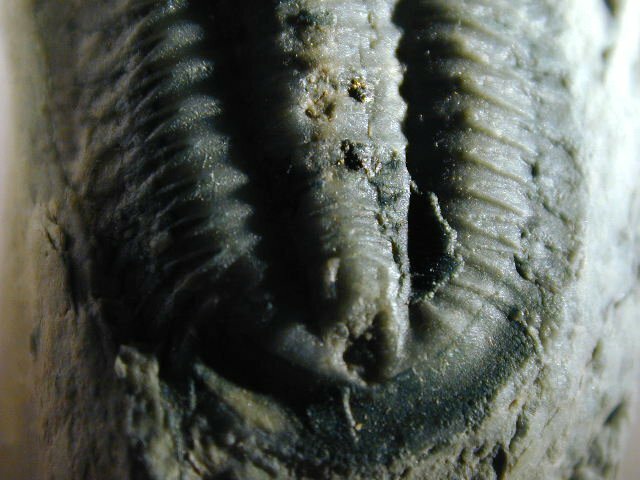 Like many trilobites from the Tanglefoot area, this Tricepicephalus was preserved in a calcite nodule.